Farrar, Straus and Giroux (BYR), 9780374309749, 320pp. Then he meets Faye—a cape-wearing, outspoken girl with losses of her own. 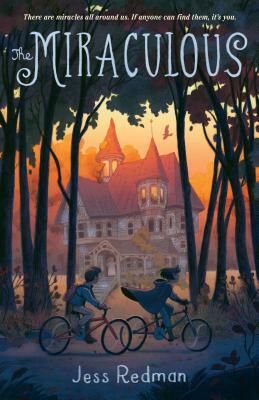 Together, they find an abandoned house by the cemetery and a mysterious old woman who just might be a witch. The old woman asks them for their help. She asks them to believe. And they go on a journey that leads to friendship, to adventure, to healing—and to miracles. The Miraculous is Jess Redman’s sparkling debut novel about facing grief, trusting the unknown, and finding brightness in the darkest moments. Jess Redman is a therapist and psychology teacher. She currently lives in Florida with her husband, two young children, and an old cat named Soul Pie. The Miraculous is her debut novel.